Welcome to Australian Seaplane Adventures. Australian Seaplane Adventures biggest adventure yet. Travelling around Australia's coastline in seaplanes… We have teamed up with Make-A-Wish foundation to promote, fund-raise and make a some wishes come true for sick and disadvantaged children. The plan is to depart Brisbane on Sunday 30th of March 2014 heading clockwise around Australia’s coastline. We will record the trip using High Definition cameras and create a professionally produced documentary at the end of this epic adventure. Flying my two seat Searey amphibian aircraft around this great country, I will be in company with three other seaplane’s. All will complete the circumnavigation from different starting points. We would love to find a couple of major sponsors to help us out with the logistic costs. If you or anyone you know could help with major sponsorship please contact us. Australian Seaplane Adventure welcomes ANY financial assistance. YOU could become a supporter of the adventure with a small donation. All supporters donating over $35 will be entitled to a free download of the documentary. 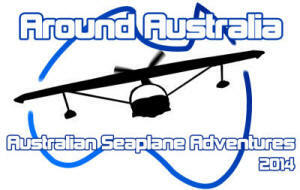 To support the Australian Seaplane Adventure click link at the bottom of the page. Should the Adventure receive more financial support than required to cover costs, all money not used to fund the trip will be donated to Make-A-Wish foundation. We'd like to thank our sponsors below and ask you support them anyway you can.